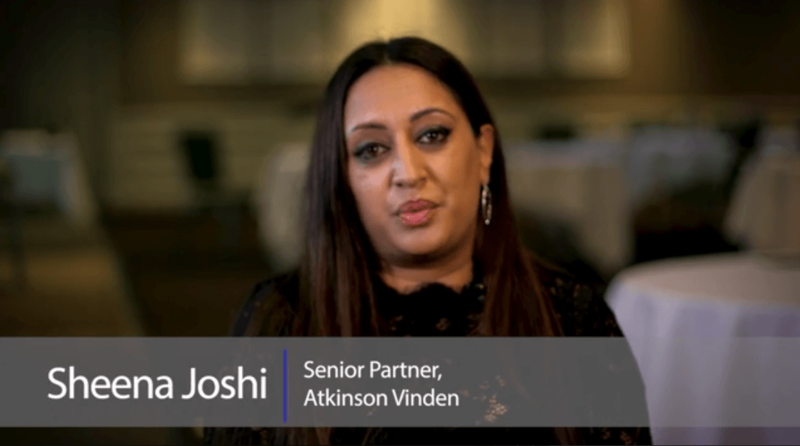 What’s it like working at Atkinson Vinden? Recently the directors of AV conducted an anonymous survey of staff to ask that very question. The results were very heartening. It seems that at the heart of our firm is a strong valuing of the people themselves. Of those surveyed, 87% said that the best thing about working at AV was the people. 84% also cited the good atmosphere and culture as being key to what they liked about working with us. Half of the respondents could not think of a single thing they would want to change about the firm’s culture. These results are reflective of significant work which we continue to do as an employer to ensure that all of our staff are well-resourced and supported with the setting of realistic expectations. We have a growth mentality, and encourage anyone who wants to be involved to participate in creative thinking and planning to make the firm as successful as it can possibly be. We have an outstanding track record when it comes to gender equity, with 75% of our current management team being female. The legal industry is not renowned for being proactive around workplace culture. All too often the staff of law firms are viewed as billing machines, whose personalities and individual ideas are tolerated at best. Rod and Sheena are committed to the idea that the service that Atkinson Vinden delivers to clients will be far better when our people are valued and nurtured. We take seriously the findings of workplace psychologists such as Daniel Pink that people will be happiest, and produce the best results, when they have a certain degree of autonomy in how they complete their work, that they are provided with the training and skills necessary to develop mastery over their work, and where there is a purpose underlying their role. With this in mind, we have developed an expression of values built around the word BASES. When we are at work, we give our best effort. However at the end of the day, we want to go home, enjoy happy family lives, and pursue interests outside of work. AV provides flexibility so that our staff can meet their personal goals in life, as well as enjoying a challenging professional career. We respect individual difference and encourage people to engage in genuine relationships. In community good people will still have conflict from time to time. When that conflict is dealt with in a healthy way and clear outcomes are negotiated, that community is enriched. We do not expect people to check out their personality at the door – we celebrate difference and enjoy a laugh when appropriate while we work. A part of a happy life is economic stability. Atkinson Vinden is committed to achieving strategic growth so that staff have financial security and ongoing career opportunities. We are not content with being average. We strive to be fantastic. This not only brings greater professional satisfaction for us, but it also produces the best possible outcomes for our clients. We are conscious that our legal skills provide a unique opportunity to help those who may not been a position to help themselves. We want to make a difference in the world. Each year we choose five worthy causes and provide pro bono legal services to bring about positive change in the world. Building from a strong foundation, AV will become a firm whose hallmark characteristics include a commitment to excellence, authentic staff and client relationships, social engagement, and promoting a healthy work/life balance. These values will underpin our “Right People Right Advice” branding, and provide us all with the opportunity to fulfill our personal goals. We recognise that in order to achieve all of these things, it is foundational that the firm operates profitably and sustainably. We are committed to refining our areas of legal practice, our business development efforts, and our workplace methodologies, to ensure that our practice becomes even more successful in the future. Would you like to work at Atkinson Vinden? To apply for a role, or if you would like us to consider you for future opportunities – get in touch. Send a cover letter and your CV to our Office Manager, Kathy Standen. Please ensure to include how your skills and values would be well suited to Atkinson Vinden.